Cecilia Cheung is relocating and moving into a luxury house in Beijing? 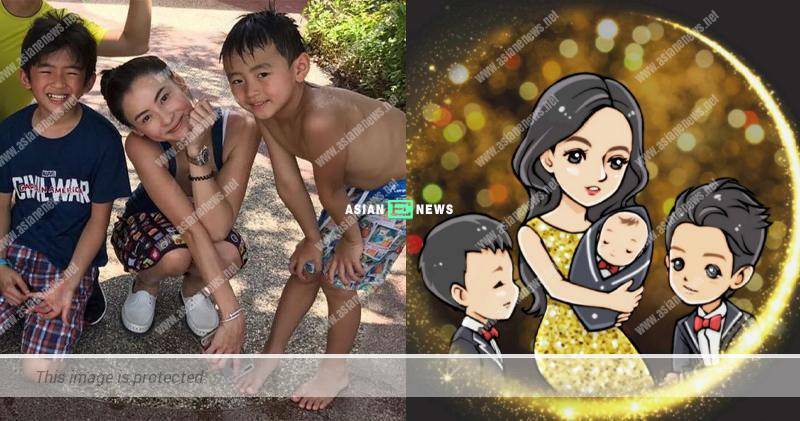 Cecilia Cheung (張栢芝) gave birth to her third baby son on last November without disclosing the identity of the baby’s father. She denied the baby’s father was a 65 years old Singaporean businessman, Chinese wealthy man (孫東海) and even her ex-husband, Nicholas Tse (謝霆鋒) through her work studio. A few days ago, the Chinese media reported that Cecilia bought a luxury house which was currently under renovations in Beijing and there were renovation workers walking in and out of the house, and appeared preparing to start work. Hence, the public suspected her 3 sons and she might be relocating to Beijing and it was highly likely that the rich man (孫東海) bought the house for Cecilia.